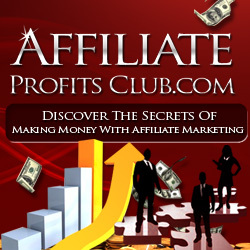 Looking for big commissions in affiliate marketing? The Clickbank marketplace is an incredible place to get started. There are lots of amazing, self published books on helpful topics that visitors are hungry to buy. The downside is that since it’s so easy to get on the Clickbank marketplace, there are a lot of bad products with poor grammar and worthless content. Luckily, once you can separate the wheat from the chaff, you’ll have a killer source of income. Follow along, and we’ll look at how to scout for products on Clickbank the smart way. Since there are so many products on the Clickbank marketplace, you’ll need to whittle your options down to a particular niche that interests you. The main Clickbank website is a little difficult to maneuver around, so you should start with a website like CBEngine. Spend time looking at the pages for individual products. Look for effective sales copy and high quality images and video. Ask yourself whether you’d buy the product here yourself. Would you feel comfortable recommending it to your friends? While many successful products have a high gravity rating, it shouldn’t be the alpha and omega for you as an affiliate. Look for ratings between 10 and 100 – that means it’s good enough to make sales, but not so crowded with affiliates that it’ll be hard to get a page ranked in the search engines! There are plenty of products that start with a splash thanks to paid promotion or hyping a small group of affiliates – but then their sales pattern drops off. It’s best when a product has a steady line of sales, or better yet, a slowly climbing trajectory – that’s a sign that interest in the product is growing. There are so many similar products out there that it’s foolish to use one that doesn’t promise you good competitive commissions. Affiliates are the lifeblood of success for these marketers: you’re bringing them paying customers without any investment, so it better be worth it for you. Look for products that pay at least $17 dollars a sale. Also keep your eye out for products with recurring memberships – these can give you money in your bank account every month, long after you’ve made the initial sale. It’s smart to avoid pages that have “leaks”. When I say this, I’m not talking about security leaks – although those are important too. Offers to join a mailing list, check out an affiliate program for the product (smart customers will realize that they can sign up on Clickbank themselves as affiliates and give themselves a nice rebate), or read the product owner’s blog should all be seen with suspicion. This is especially true if the Clickbank product is on “just another page” of the product owner’s website. You only get paid if the visitor buys the product, and the more distractions are on the page, the less chance the page will close the sale for you!